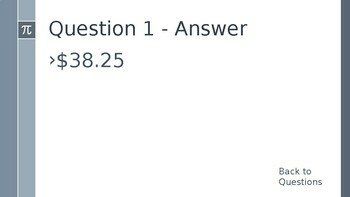 Consumer Math Bingo (One-Step): Tax, Tip, Discount, Markup, Markdown...etc. 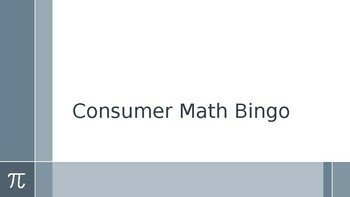 A PPT presentation that lets you play bingo to review one-step (basic) consumer math problems. 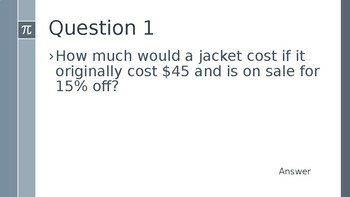 For example: How much would a jacket cost if it is originally priced at $45 and is marked down by 15%? 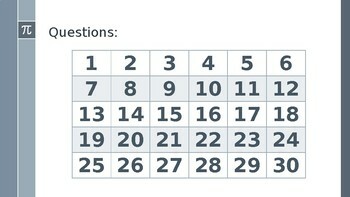 It includes 30 questions, blank bingo boards for students to fill out and the answers to each question.